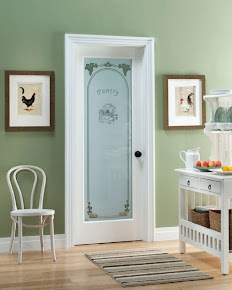 Feather River Door wants to make it easy for you to find a right entry door for your home. Price Solution, our interactive tool, helps you find a door at the price you're looking for. There is no guess work involved. Select your door style and price range. Browse through the selection of doors and choose the door you like! It is extremely easy and extremely helpful. Let Price Solution guide you to a right door today. 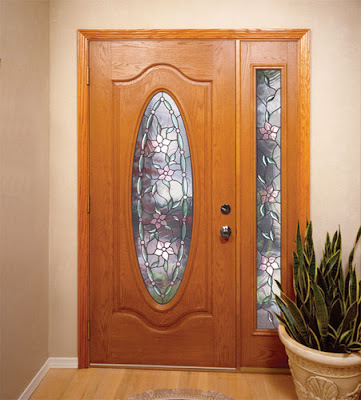 Feather River Door's fiberglass exterior doors never rot, rust or dent. Sill key system provides protection against jamb rot and Ball bearing hinges prevent door sag for longer lasting performance. Limited air and water infiltration is another benefit brought on with Composite Adjustable Threshold and Door Sweep. Most of Feather River Door's exterior doors are Energy Star qualified. Fiberglass door with CFC Free Polyurethane Insulation Foam Core provides increased insulation and is environmentally friendly. Hand stained door finishes resemble real wood with unique woodgrain details and hand crafted decorative glasses are unbeatable in beauty. Did you know that with the Feather River Door's Pre-Paint Program, you can choose dual colors for your front door? 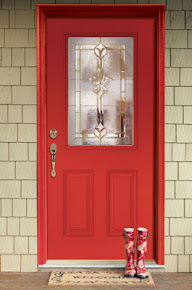 If you want a bright red front door, but isn't sure how it'll match your interior home decor, you don't need to worry. You can choose a different paint color for the inside of your door from the 12 options available! It is another way we, at Feather River Door, try to make it convenient and easy for you to enjoy a colorful front door. 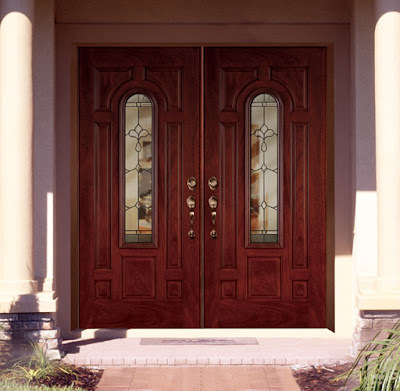 Take a look at Feather River Door's Cherry Mahogany Door with Silverdale glass. High quality fiberglass doors successfully imitate real wood. 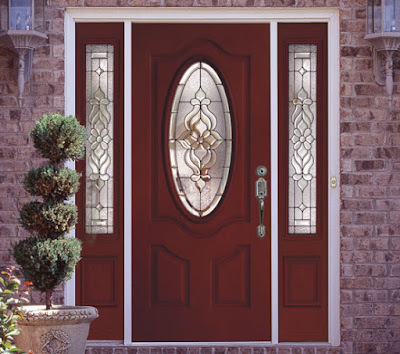 Our fiberglass doors offer some of the most beautiful exterior doors with its deep and rich stains. They are perfect for new homes and remodeling older homes. Fiberglass doors will not warp, rot or bow and they're excellent for insulation due to its foam filling. Something to consider as colder weather approaches. You can add any type of hardware as you would on a wood door and they are available in various styles to match any architectural styles. 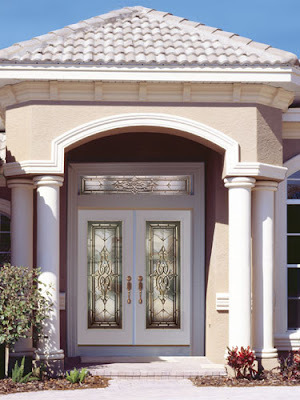 The beautiful glass design adds elegance and style to an already good looking door. High performance and Durability - Sill Key System: Provides protection against jamb rot. Sill Key doesn't allow jamb bottom to sit on sub-floor or sill where it is susceptible to water damage. Ball Bearing Hinges: Heavy duty doors are a moving item and Ball Bearing Hinges prevent door sag for longer lasting performance. Composite Bottom Rail with Door Sweep & Composite Adjustable Threshold: For rot resistance and structural performance. Hi-Dam Composite Adjustable Threshold and Door Sweep limits air and water infiltration.